Plan your teams match play strategy and training tactics with the Gilbert ® Netball Tactics Board. Netball tactics board for player position and match strategy. Complete with magnetic position markers, pens and cleaning pad. Size: A3 (297 x 420mm) plus frame. 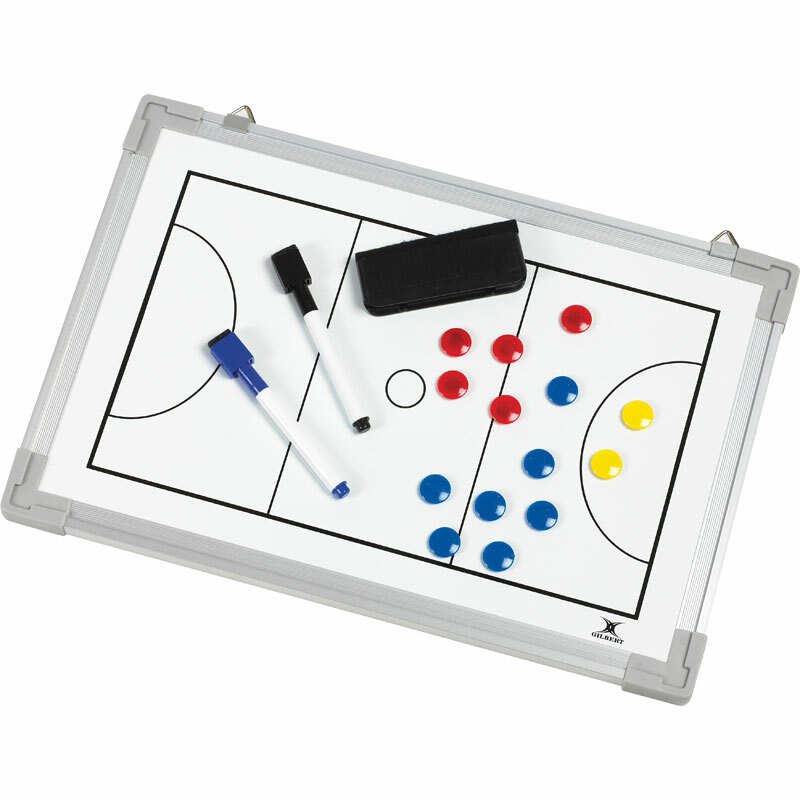 I purchased this to help me teach young netball players about positions and movement. It seems well made and is of a good size. I feel that the magnetic counters could have had player positions marked on them but besides that it was good value for money compared to the price of football tactics boards available.